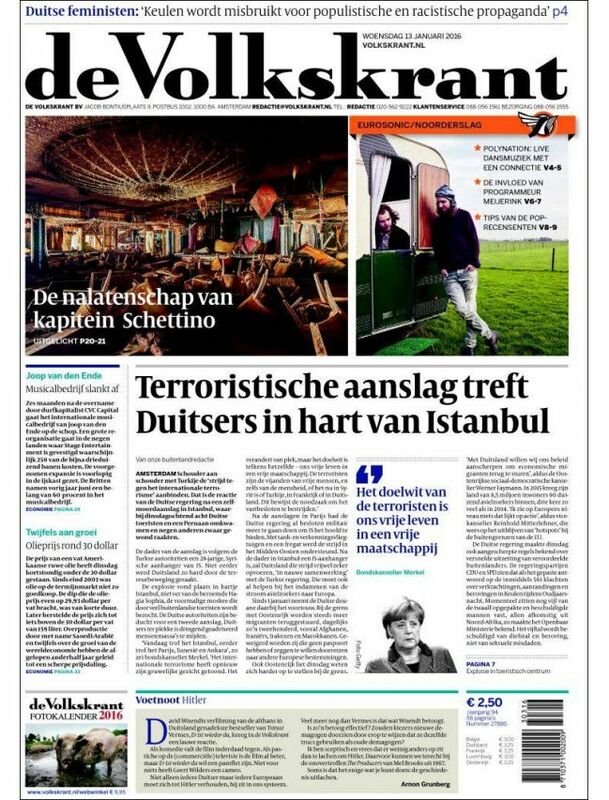 De Volkskrant is the number one quality daily newspaper in the Netherlands and has a special edition on the weekend. At the weekend the magazines are the showcase for all the good things in life. The newspaper is critical and trustworthy, and easily accessible to a wide audience. De Volkskrant covers international and national news, but it also has an eye for the bright side of life. Literature, arts and culture, travel and science are important aspects of attention. That makes de Volkskrant a popular companion for highly educated Dutch people.